Knew about this one for a while. Bring it! Pls Manta, we all need a non-crappy Steel for this! Some at least semi decent steel art please. Knowing Manta Lab it should be awesome. This one will be special. Manta, you have my interest... but what's new?! 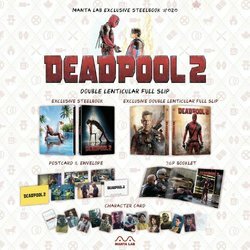 Think I might have to hunt down a copy of their Deadpool 1 edition now too. I do hope this time it's not just a magnet lenti though and not copy the same as the first release. I would prefer something like Justice League in a boxset. 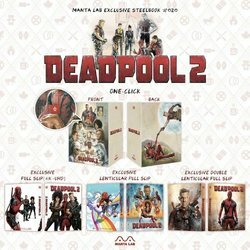 I thought their editions for Deadpool were a little underwhelming to be honest, hence why I never picked one up... although it was still early days for them at the time, so can imagine they probably didn't have as much freedom with the release as they may do now. I really wasn't a fan of that lenti magnet either... the full slip on the other hand looks great, so that's the one I'll be hunting down! But yeah, I'm looking forward to seeing what they come up with for this... no doubt they'll go all out this time. 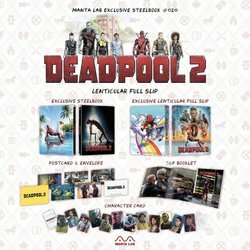 Last deadpool was manta global, hope this is an exclusive. It has to be, they're only doing WEAs now.